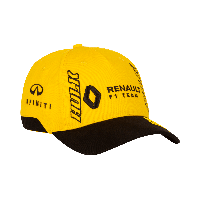 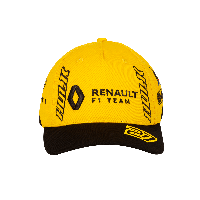 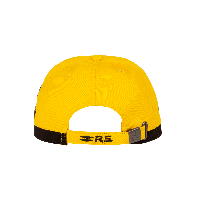 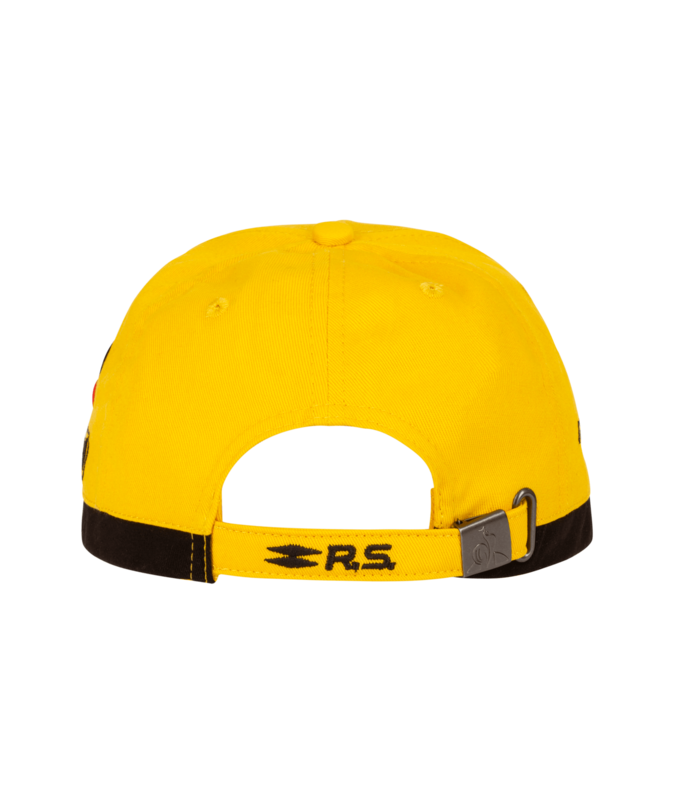 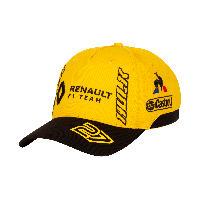 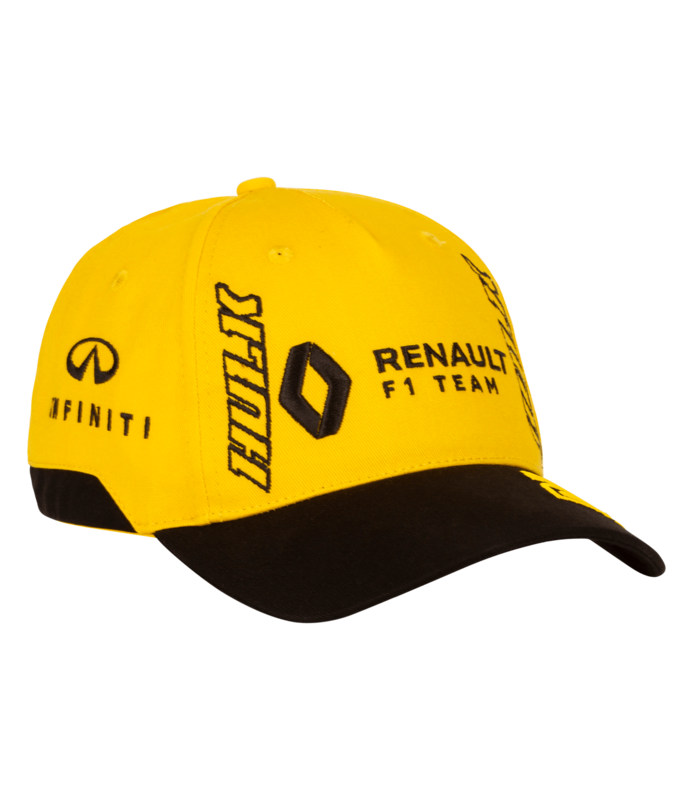 RENAULT F1® TEAM 2019 kid's cap - Hülkenberg. 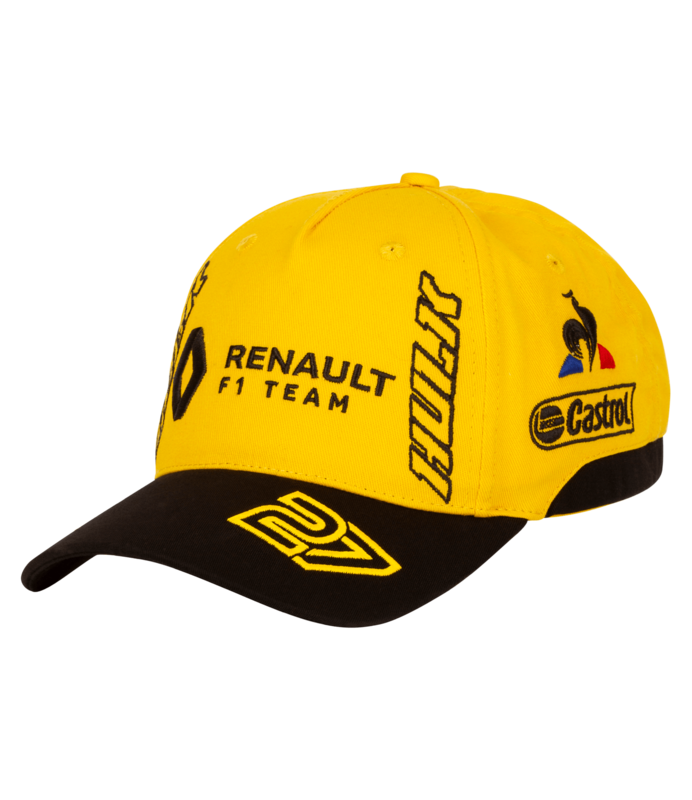 RENAULT F1 TEAM and HULK embroidered logos on the front, LE COQ SPORTIF and CASTROL on the left side and INFINITI on the right side. 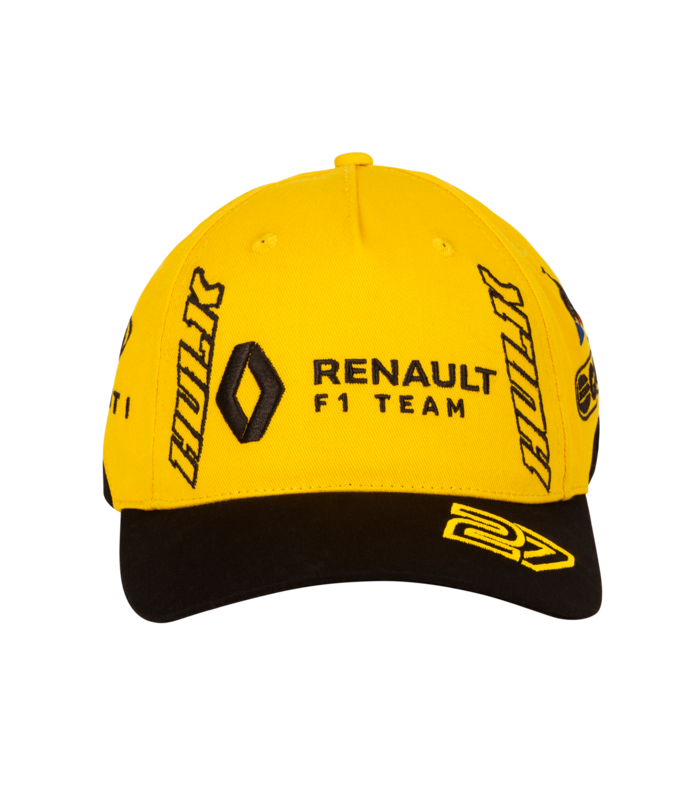 Black visor with the number 27 embroidered.